One of the most common mistakes with web designs is the inclination to fill every available space on the page. Perhaps this stems from a misunderstanding of the adage that “content is king”. Whilst content is certainly important, sometimes “less is more” is a better idiom to keep in mind. White space, when used effectively, can increase legibility, set the tone of your site and draw attention to the key features you want to highlight on a page. 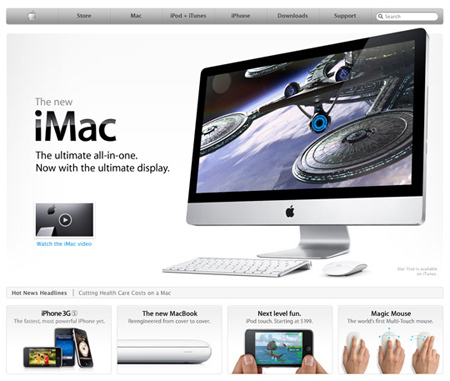 The iMac website below is a great example of that approach. White space has been used judiciously to focus attention on the product itself.